Visibility: 150 m (500 ft) below treeline, whiteout conditions above. New storm snow: 5-8 cm (2-3 in) of dry snow and graupel, snow falling at a rate greater than 2.5 cm/hr (1 in/hr). Wind: light to moderate and southerly near and below treeline. 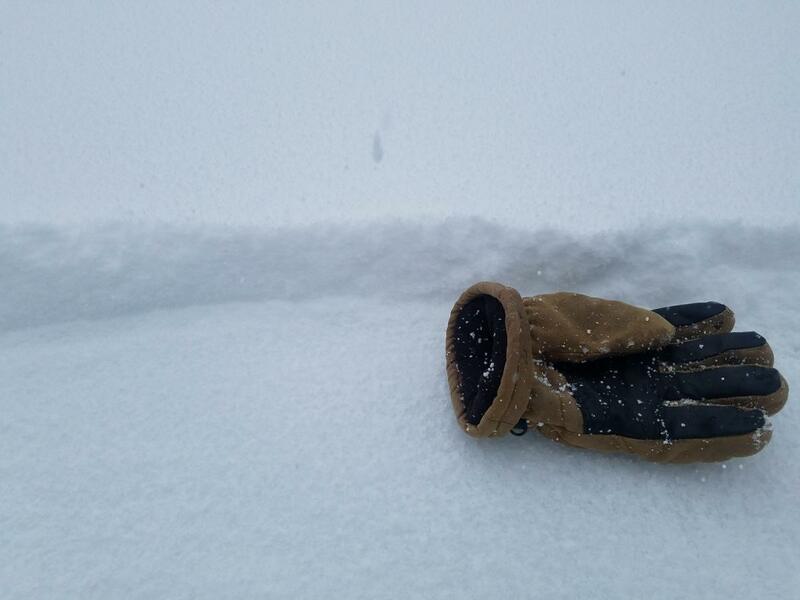 Snowpack: below and near treeline, F hardness new dry snow unbonded to widespread rain/melt freeze crust beneath. Near treeline and above, mostly the same configuration but with isolated areas of 10 cm (4 in) of new dry snow sitting atop a 5 cm (2 in) weak layer of moist 4F snow from Tuesday that is not bonded well to underlying crust. Hand tests were touchy to trigger.